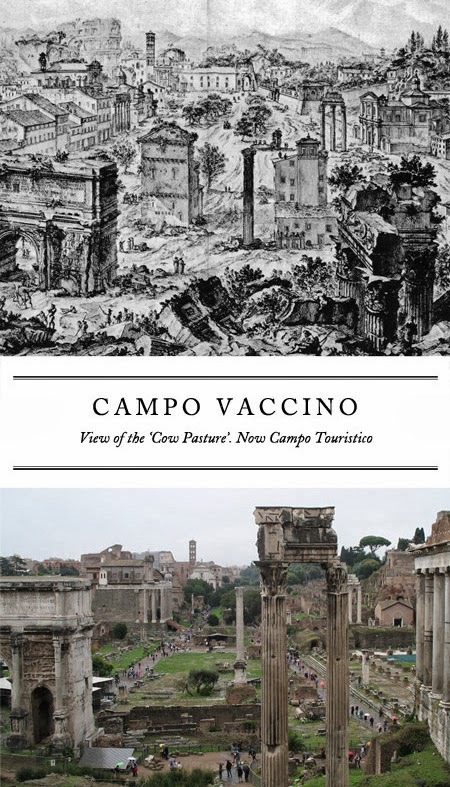 Veduta di Campo Vaccino (View of the Cow Pasture) was probably drawn from a window of the Palace of the Senators which was built on top of the Tabularium's remains. You can see the very top of the remaining pillars of the Temple of Vespasian in the lower right, which have been almost completely buried. The Colosseum can be seen in the background on the upper left, above the Temple of Antonius and Faustina. 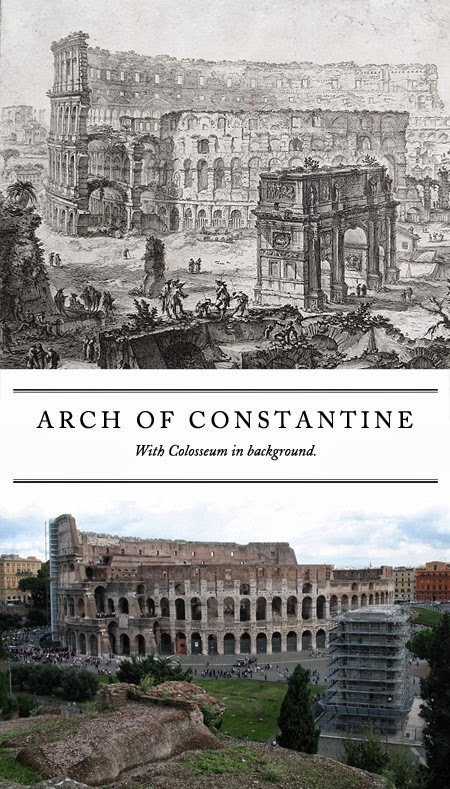 The view of the Colosseum and the Arch of Constantine is from the Palace of Elagabalus. 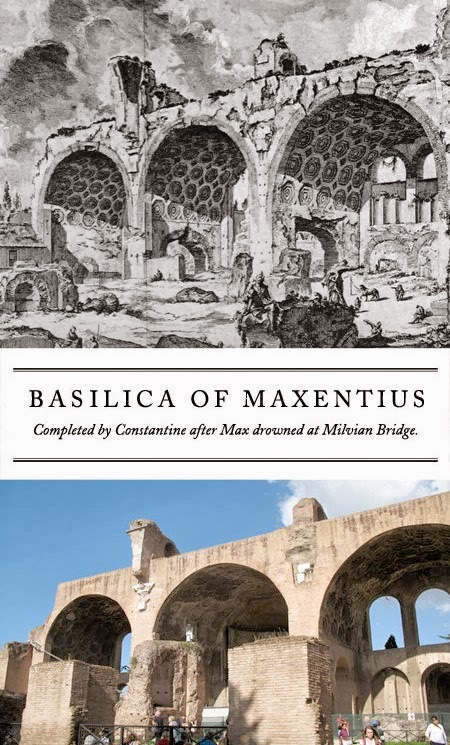 The Basilica of Maxentius was completed by Constantine. Most of the structure was brought down by an earthquake in the 10th century. 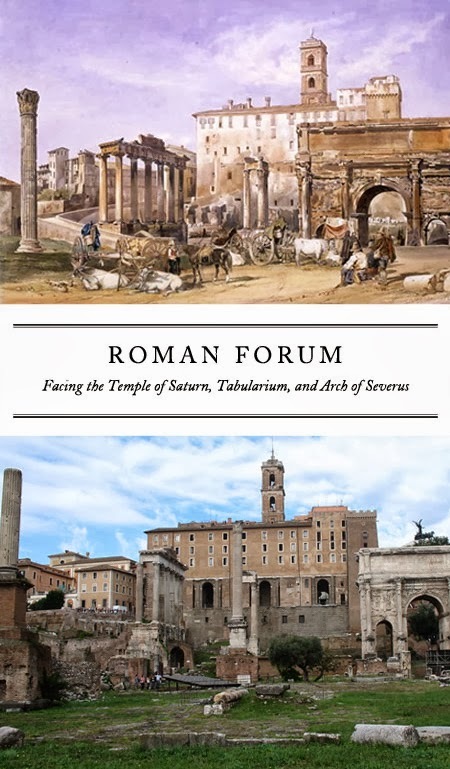 The image of the Roman Forum below isn't Piranesi, but it's a decent match up and shows the reverse facing of the Campo Vaccino. Between twenty and thirty feet of earth has been removed. Sediment, debris, and silt washed into the low lying forum over the centuries from the surrounding hills. 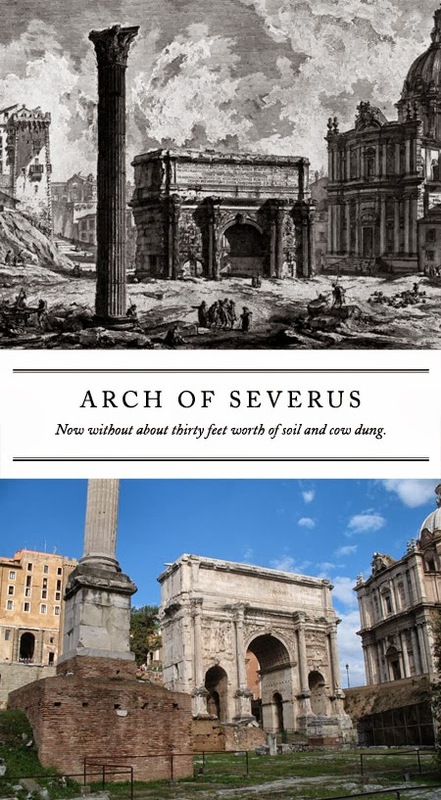 The Arch of Septimius Severus was built in 203 AD by his sons. Beyond it are the Gemonian Steps that lead up Capitoline Hill.